Know a child interested in comics? We undoubtedly live in a golden age for comics and graphic novels, and it’s hard to keep up with new releases. Here are three brand-new, beguiling titles for younger readers. 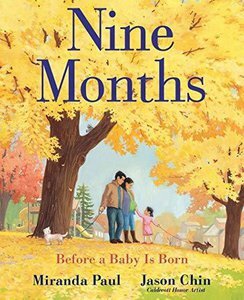 First up is your second opportunity as a reader to enter the Nightlights world of Lorena Alvarez. Back in 2017, I chatted here at Kirkus with Alvarez about Nightlights, the first book in the series (nominated in 2018 for an Eisner Award and named a 2017 Kirkus Best Book). 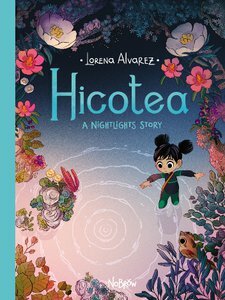 The second in the series, Hicotea (on shelves now), takes us back to Sandy, the young protagonist who regularly finds herself in magical dimensions. 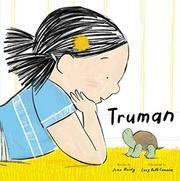 In this story, she wanders off on a school field trip to discover an empty turtle shell. When she falls inside the shell, she meets the turtle and the wondrous museum of the natural world that he houses in the shell. Well, you could perhaps call it a “museum,” but the turtle considers it more. He’s collected items, he tells Sandy, that represent “a question that someone asked, and their journey to find an answer … an answer that might show the world in a different light.” One of the turtle’s paintings is incomplete; it was once the wetland, and something on the outside of it won’t let the turtle through. Sandy’s eagerness to discover what that might be takes her on a journey through both time and space. Trippy, huh? This is a layered, complex tale, and to call Alvarez’s artwork a visual delight would be criminally understated. 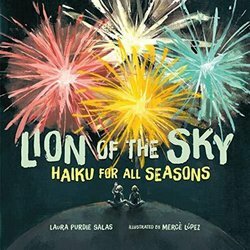 Filled with rich colors, tremendous detail, and tons of atmosphere (the publisher likes to describe Alvarez’s style as “Raina Telgemeier meets Miyazaki with a Latin American twist”), it is a book for reading slowly and then a book for reading multiple times. The worlds Alvarez creates are utterly entrancing, and I look forward to Sandy’s next journey. If, three years ago, you read and loved Mordicai Gerstein’s I Am Pan!, rendered via comics, you’ll be pleased to know that I Am Hermes! comes to shelves later this month. I don’t know if this will be a classical mythology comics series from Gerstein, but that would make me happy. (Based on the endpapers, which feature nine other Greek gods and goddesses, I have hope.) This 72-page picture book from Hermes’ point of view is divided into two parts—“Me, the Infant” and “Me, the Messenger”—and each is filled with exuberant, mischievous stories involving the messenger of the gods, all stories derived from Greek mythology. Gerstein also modernizes the legendary Greek god in that he ponders at the story’s close what Hermes’ relation to the contemporary world might be. If you guessed the internet, you’d be right. (Oh, Hermes. Can you at least do something about internet trolls?) The energy in these tales is hard to contain. Expect re-readings, particularly by those children who really dig classical myths. Finally, from veteran cartoonist Ivan Brunetti, editor Franҫoise Mouly, and Toon Books comes Comics: Easy as ABC! : The Essential Guide to Comics for Kids— just for those children so inspired by the books they see that they want to learn how to draw comics themselves. After Mouly praises comics in a short introductory note, the book dives right in to mini comics tutorials for children — drawing basic shapes; doing line work; drawings faces, emotions, profiles, and bodies; capturing body language; useful tools for cartoonists (including a definition of emanata); perspective and point of view; balloons, lettering, pages, and panels; character, props, and setting prompts; and much more. Included throughout are quotes from comics artists and authors. 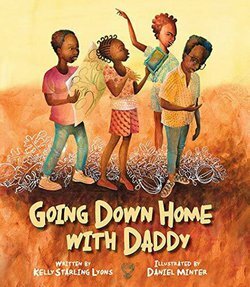 It closes with a guide for parents, teachers, and librarians on reading comics with children, as well as further resources and a bibliography of recommended titles, some by artists with (some) books out of print that Toon Books still highly recommends (such as, Ed Emberley, Syd Hoff, etc. ).